• Manufactured from 100% polyester. 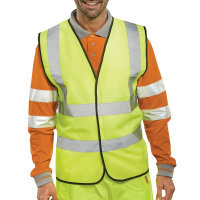 Improve safety and reduce the risk of accidents with a high visibility waistcoat to improved worker visibility in poor conditions. 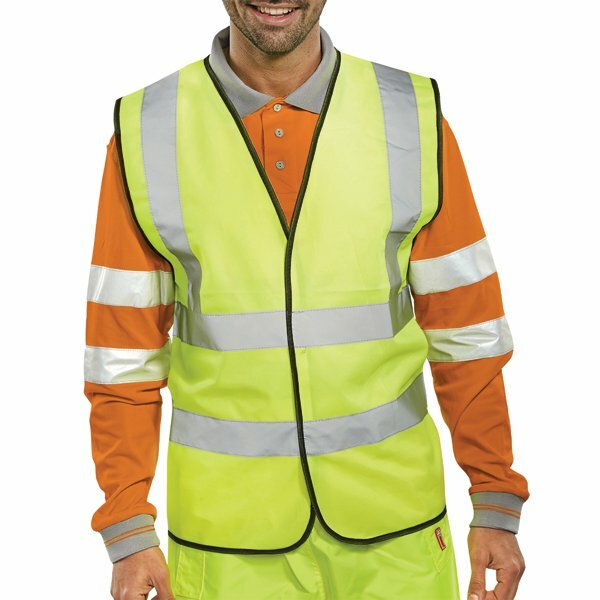 This large sized vest is designed to fit comfortably over work clothes and made from 100% polyester fabric with two body and two braces reflective bands. Easy to fasten, even with gloved hands, with simple Hook and Loop fasteners, this vest conforms with EN ISO 20471 for Class 2 for intermediate level visibility. Medium size.